After three dates in Limón, Manuel Antonio and Caldera, the action of the Integrated Costa Rican Surf Circuit 2018, returns this weekend. 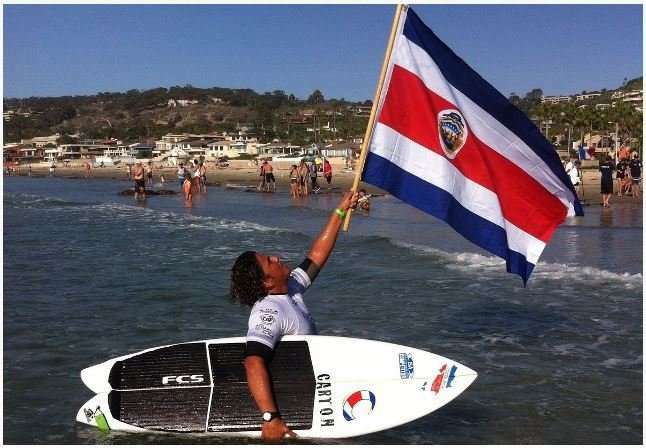 For the first time the championship that joins the categories of the Bodyboard, Longboard, Adapted Surfing, SUP Surfing and Masters, arrives in Santa Teresa, this Saturday 21 and Sunday 22. This fourth and penultimate event of the championship that will close in Playa Hermosa de Jaco next August, will reunite all the categories. The Adapted Surfing was not in Limón or in Caldera, in fact, this will be the final date for this branch that is growing more and more. As usual, the Adapted, SUP, Longboard and Masters categories will take action on Saturday, for Sunday, giving way to the more than 60 bodyboarders who usually join each appointment. For this weekend, waves of great intensity are expected. So much so that the swell begins to grow Tuesday and until next Monday, when it reaches 6 feet. That is, Sunday for the Bodyboards, will be the biggest day with sets of up to 5 feet tall. The inscriptions of the event are already open for competitors, in fact, they close this Thursday. These can be done online through the new Surf Federation page: FedeSurfCR.com.